Heavy exposure to solve specific problems (rejuvenation, whitening, etc.). A distinctive feature of this line – their application rates or at certain intervals (compared with the daily care). 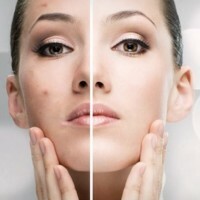 Funds for intensive care provides deep cleansing, useful for problem skin, to prevent acne, cellulite, etc. Intensely moisturizes and softens dry, dehydrated and sensitive skin. Normalizes water balance. Rest..